Perhaps you want to become a professional aerial photographer or you are already one but want to widen your expertise? You have come to the right place if you already have a high-quality GoPro camera and are searching for a top-of-the-line drone. GoPro cameras are quickly becoming popular among the drone enthusiasts. These cameras make it possible to capture amazing aerial photography and videography with a top-class drone. It is very easy to attach GoPro cameras on the drone. You can mount a GoPro on a drone to the bottom of its underside through a fixed mount bracket or a gimbal. With so many drones available on the market today it is very difficult to choose a great professional aerial platform. They all have different features and specifications. 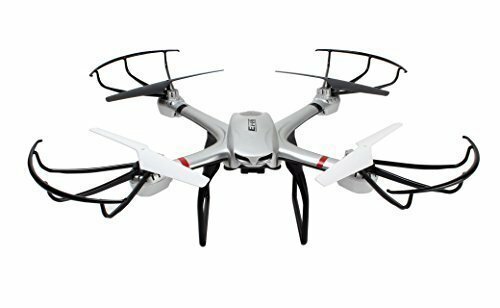 If you are looking for a top-quality drone for GoPro, this list (with no particular order) is going to help you with your task. Camera: Does not come with a built-in camera. Designed specifically to work with GoPro Hero cameras. The DJI Phantom 2 is perfect for those people who love making aerial videos and photos. The Phantom 2 package comes with a Zenmuse H3-3D 3-axis gimbal. This is a new and technologically advanced version, and plenty of support for the gimbal. This feature provides you with amazing camera stability and smooth video recording. It is important to note that you will have to install and calibrate the gimbal with the DJI software. The drone has a stable flight and recordings will be high-quality. You can fly the Phantom 2 for about 25 minutes on one charge with a powerful 11V 5200mAh Li-Po battery. The drone can carry 300 grams in addition to the weight of its built-in components and it is capable of carrying an average GoPro action camera. This drone is more expensive than most of the other drones. However, it has advanced functions, great safety record and amazing flight time. 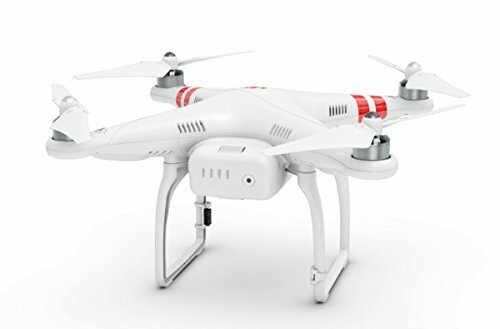 Overall, the DJI Phantom 2 is considered to be one of the best drones for GoPro Hero 4 series. Camera: Does not come with a built-in camera. Gimbal for GoPro Hero available for buy. The 3DR Solo is one of the most popular drones for GoPro cameras and it is marketed as the world’s first smart drone due to the fact it runs on 2 processors. The operating range is about 800 meters and the flight period is about 25 minutes. The drone is powered by a powerful 15V 5200mAh Li-Po battery. The 3DR Solo does not come with a built-in camera and it is designed entirely with GoPro cameras in mind. Its stabilization gimbal supports 3 axes of rotation. This means that the camera will remain steady and focused when the drone rotates along its three axes. The 3DR Solo has several Smart Shot modes. They will enable the drone to fly all by itself, allowing you to control on getting the best shot over and over again. Additionally, it comes along with an Android or iOS app so you can gain complete access through your Smartphone. The 3DR Solo is considered to be one of the best choices for recording professional and creative video with a GoPro drone. The Iris+ is a rather compact and clean looking drone that has a lot to offer if you want to be able to capture amazing photographs and videos. This drone has been specially built to shoot your routine lifestyle. The Iris + also has very useful flight safety features. This feature helps it to return home if the battery runs out or it flies out of range. Another cool thing about this drone is the Follow Me mode. This feature is very useful because your drone will follow your every move and keep you focused in the camera. The Iris+ is delivered ready to fly which means all you have to do is to charge it up, attach the propellers and you are good to go. The 3DR Iris+ does not come with a built-in camera. However, the drone features a GoPro-compatible camera mount so that you easily can mount the camera. Its stabilization gimbal supports 2 axes of rotation. This means that, when the drone rotates, the camera will remain steady and focused. Its payload capacity is about 400 grams. This is more than enough to carry an average GoPro camera. The Iris+ is powered by a powerful 13V 5100mAh Li-Po battery and has a flight time of about 22 minutes. The IRIS+ is pretty fast compared to most drones and can travel up to 800 meters even with the FPV turned on. The great thing about this drone is that it has some really cool features that you can use together with your GoPro camera. Camera: Does not come with a built-in camera. GoPro-compatible mount. The Cheerson CX-20 is a budget drone. However, this is not a toy, although the price is really affordable. The drone is equipped with a sensitive and smart technology. This drone has no camera of its own. However, it is compatible with GoPro cameras that can easily attach to the drone’s body via a compatible stabilization gimbal. The CX-20 has an integrated MX autopilot technology. This technology allows high-quality flight functionality as well as a GPS option. You can also employ more than a single controller simultaneously to manage it. The drone is powered by a strong Li-Po battery and has a flight time of about 15 minutes. The drone is above average in size and weight. On the other hand the CX-20 is one of the slowest drones on the market and has a maximum speed of 18 mph. The drone is also equipped with high intensity LED lights for better flight orientation. Camera: No camera included. GoPro-compatible mount. The Walkera QR X350 Pro is a neat-looking drone and it is produced by Guangzhou Walkera Technology, the Chinese drone manufacturer. The drone is equipped with GPS system, One-Key-Return, Failsafe Auto Return and Altitude Hold. The Walkera QR X350 Pro does not come with a built-in camera. However, it is compatible with GoPro cameras that can easily attach to the drone’s body via a compatible stabilization gimbal. The gimbal is included in the price with this package and it supports GoPros and other similar action cameras. Its stabilization gimbal supports 2 axes of rotation. This means that, even when the drone rotates, the camera will remain steady and focused. The drone is equipped with a powerful 11V 5200 Li-Po 3S battery and has a flight time of about 25 minutes. This flight time is extraordinary for its price. The drone also comes with an amazing DEVO7 transmitter and has a FPV-system included. FPV will not interfere with the Radio Control System because it works with 5.8GHz FPV technology. Camera: Does not come with a built-in camera. Compatible with all models of GoPro Hero. The Ionic Stratus is probably the cheapest GoPro drone in our list and it offers very good value. 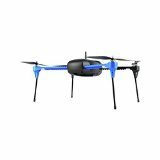 Although this drone does not have the same flight time or range as the more well known drones, it is fun for newbies wanting to fly around with a drone and an action camera. The simplicity of operating comes from a sole 3D button. The drone is equipped with a nice Li-Po battery and has a flight time of about 10 minutes. However, you can simply purchase an extra battery to increase its flight duration. 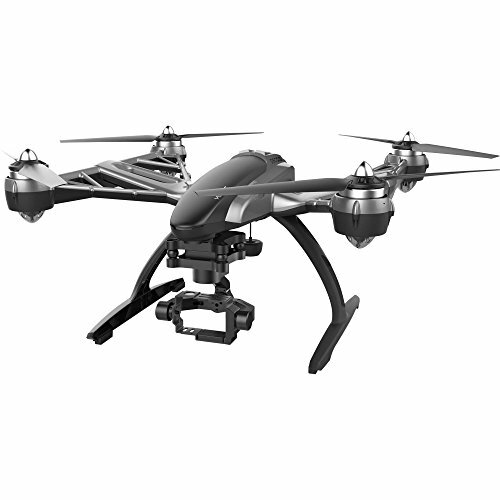 Although this drone does not come with a built-in camera, it is compatible with GoPro cameras. There is no gimbal included with this drone. This means that the video can get a bit shaky from time to time. It is important to note that you can attach a better gimbal because the mount is removable. The camera is rubber mounted fixed and that’s very important because it removes some of the vibrations from the drone. The Ionic Stratus looks interesting and a bit different compared to the majority of GoPro drones and it offers a surprisingly nice flying experience for the price. However, without a proper gimbal, this drone is aimed at newbies. EDIT - After posting this video, I was informed by the kind people of the comment section that this is a nearly identical (coloring is different?) to the MJX X101. Camera: Does not come with a built-in camera. GoPro camera mount included. The Blade 350 QX3 has been designed for those who prefer recording videos and photos from the sky. 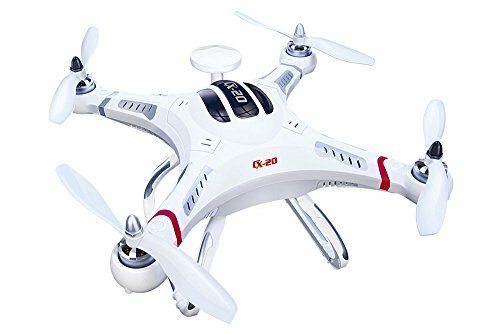 This drone offer simple controls, excellent safety features and smooth flight experience, to make shots of the high-quality. The drone is powered by a nice 11.1V 3000mAh Li-Po battery and has a flight time of about 15 minutes on a single battery charge. The Blade 350 QX3 does not come with a built-in camera. However, it includes a basic GoPro mount so that you easily can mount your camera. Its stabilization gimbal supports 3 axes of rotation. This means that, when the drone rotates along its 3 axes (yaw, roll and pitch) the camera will remain steady and focused. The QX3 is ready to fly right out of the box and has a 300 meter range. 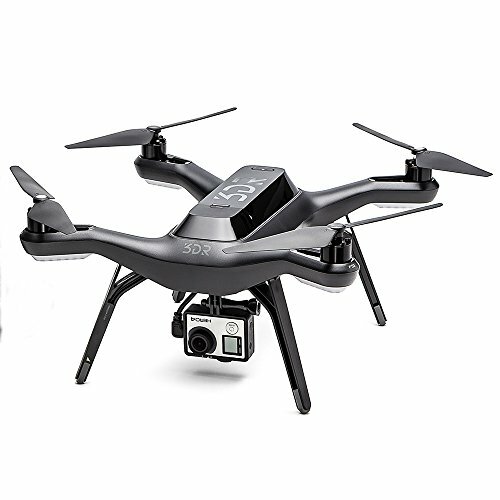 As you can see, this drone has a lot to offer to those people looking for a nice GoPro drone even though it is a bit cheaper than the top line drones on this list. Blade 350 QX3 review and test. Working with my Blade 350QX3 and Polaroid XS100. Yuneec is among the most popular drone manufacturers out there and people there did an incredible job with this model and it comes with a steady three axis gimbal especially designed for a GoPro camera. The Typhoon G is considered to be one of the best GoPro ready drones currently available on the market. Using the dedicated ST10+ remote controller, piloting is extremely easy and intuitive. 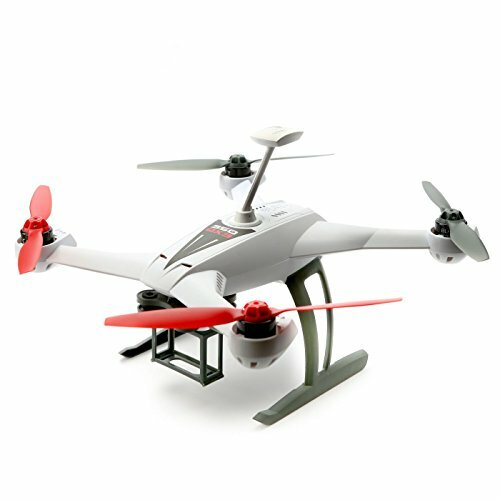 The Typhoon G is very reliable and resistant drone and it also features an LCD screen where you can set instructions. This drone is able to reach more than 800 meters away from its transmitter and has a flight time of about 25 minutes. The Typhoon G is equipped with some amazing features such as Follow Me, Watch Me, Altitude Hold and Circle around Me. The Typhoon G is amazing drone with GoPro mount to support you capture amazing images using your camera. The EHang GHOSTDRONE 2.0 comes with one of the highest-resolution and highest video recording quality cameras currently available on the market. You can also attach your GoPro camera and the gimbal is compatible with Hero 3, 3+, 4. The drone is powered by a powerful 14.8V 4500mAh Li-Po 4S battery and is capable of staying in the air for about 25 minutes on a single full charge. This drone is definitely is one of the easiest drones to fly and it is able to reach more than 1000 meters away from its transmitter. It is very simple to get used to this GoPro drone without any previous experience because it arrives with four flight modes. It is important to note that this drone can be controlled with little more than an iOS or Android smart device. Another great thing about this drone is that it can be set to auto-follow mode. This feature is very useful if you want to shoot yourself performing stunts, biking, surfing, and jogging. Camera: Does not come with a built-in camera. Compatible with GoPro cameras. 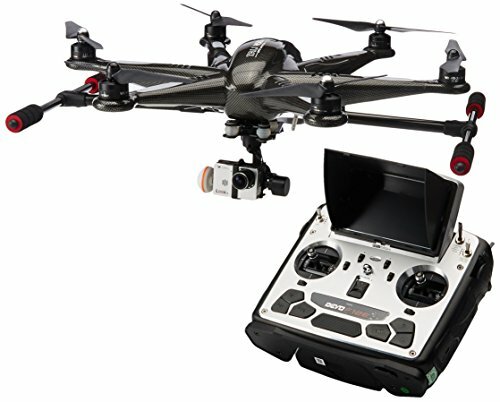 The Walkera Tali H500 is the most expensive drone on this list and it completely justify its rather expensive price with a whole set of incredible features and specifications. First of all, this drone is equipped with a powerful 22V 5400mAh Li-Po 6S battery and has a flight time of about 25 minutes. The H500 can carry 480 grams in addition to the weight of its built-in components so it is capable of carrying an average GoPro action camera. The Walkera Tali H500 does not come with a built-in camera. 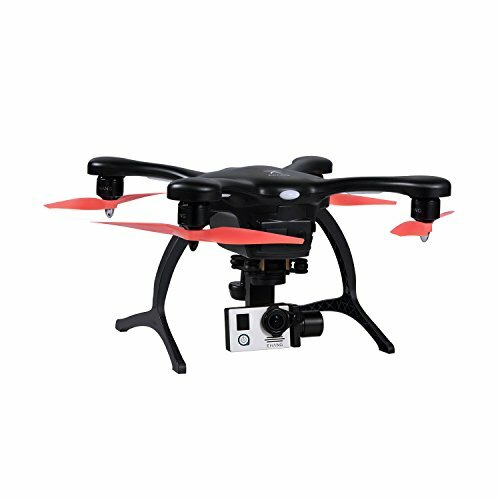 However, this drone is compatible with GoPro Hero 3 and other similarly sized action cameras that can easily attach to the drone’s main body via a compatible stabilization gimbal. The name of this 3-axis gimbal is G-3D and it is a brushless one. This stabilization gimbal supports 3 axes of rotation. This means that, when the drone rotates along its three axes (roll, pitch and yaw), the camera will remain steady and focused. This drone is equipped with many useful features, such as Position Hold, One-Key-Return-To-Home, Failseafe return to home, Circle around Me, and AIOC (Advanced Intelligent Orientation Control). The Tali H500 can be flown up to 1,500 meters away from you using solely a remote control for operation. There are different things to take into account when you are on the lookout for the best GoPro drone, such as designs, specifications, and cost. There are many great drones that fit your needs perfectly and it may be difficult to choose the perfect one. These are the best GoPro-ready drones currently available on the market and we hope that you found this list interesting and helpful and that it, in the end, helped you make the right choice.